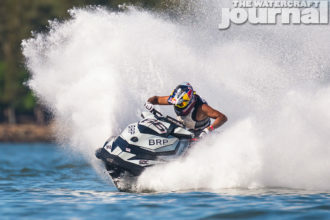 Gallery: 2018 Hydro-Turf JetJam Season Wrap-Up | The Watercraft Journal | the best resource for JetSki, WaveRunner, and SeaDoo enthusiasts and most popular Personal WaterCraft site in the world! 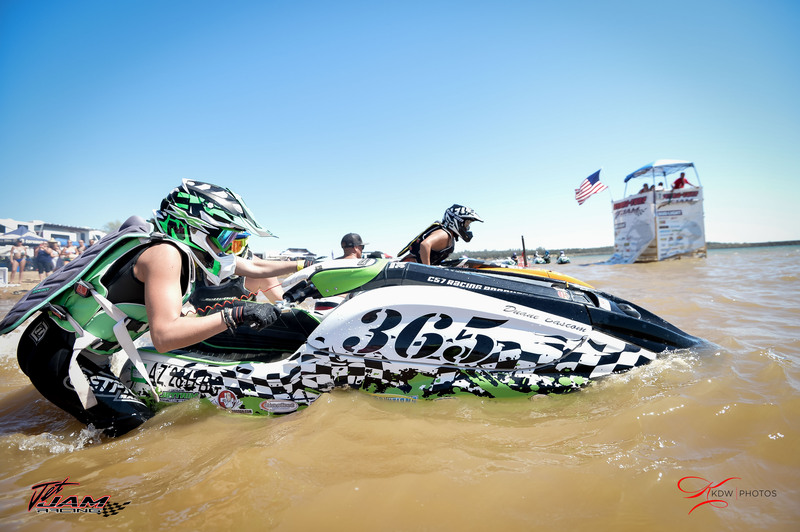 The race season started off with racing at Rotary Beach in Lake Havasu City, AZ. on Easter weekend for Rounds 1 & 2. What an amazingly crazy and fun weekend it was. 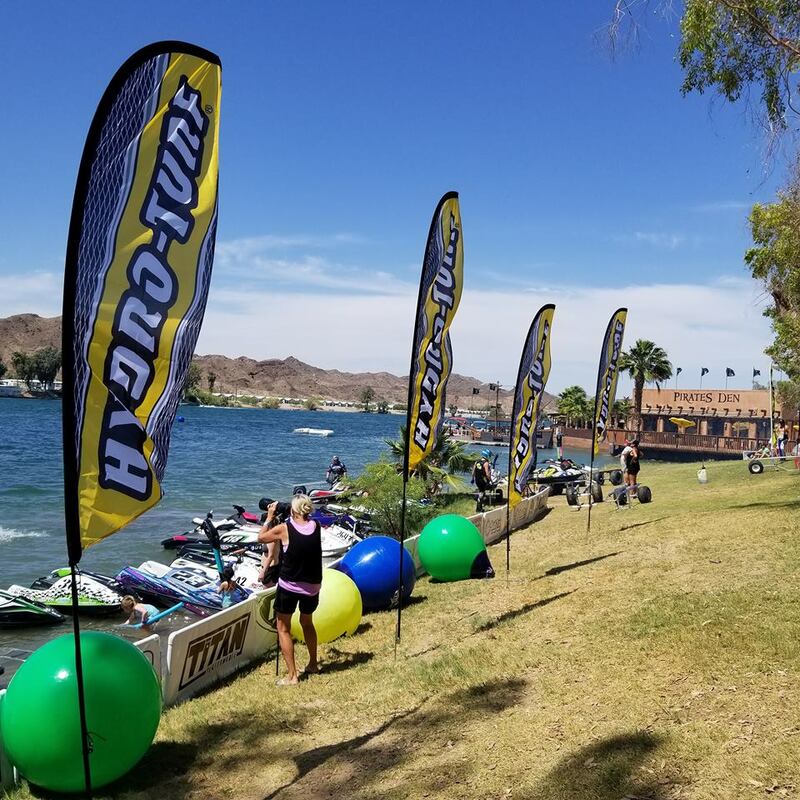 With over 140 entries to an Easter service and Easter egg hunt presented by Walking on Water Ministries, there was something for everyone. This race was followed up by Rounds 3 & 4 at Rotary Beach also. They had a special giveaway courtesy of River Rat Motorsports for those who attended both of these races in Havasu. 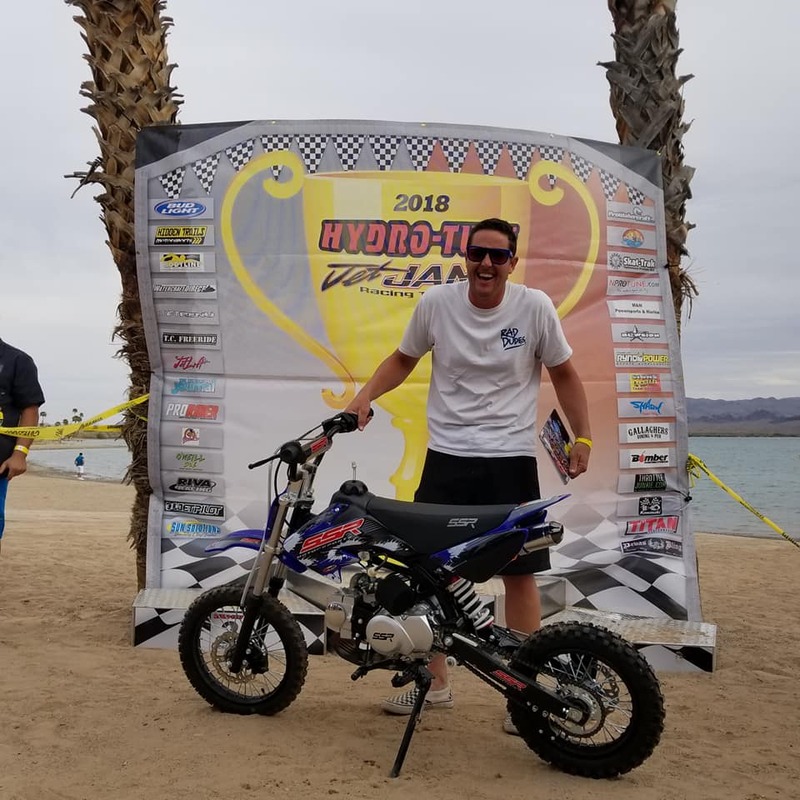 Congratulations to James Gagnon of Retro Racing for taking home the pit bike. Of course, they made it part of the team with its awesome retro pink glitter seat and retro paint. As the season was well underway, they next traveled to Parker, AZ. at La Paz County Park for Rounds 5 & 6. Although this venue was great for camping, the red shirt crew had its challenges in setting up the course on the ever flowing river. Once set and done, this track proved to be a favorite with its right-handed start. Coach T’s Bbq hosted a dinner Saturday night along with a great DJ from Havasu that came down and played some tunes for everyone’s dancing pleasure. After the southern races were completed, they found themselves heading north to Boise, ID for a “Special Event” race. 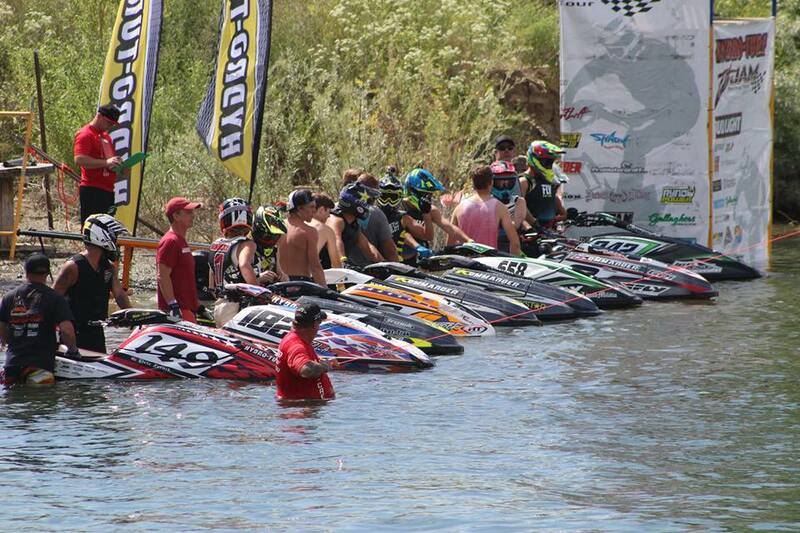 This was the first time Idaho had seen jet ski racing there in 20 years. Charlie Kouba, Matt Taylor, Rich Kumm (Fly Racing) and all the other sponsors made this this event a reality. They pulled off a $10,000 pro purse and thousands of dollars in product giveaways. Congratulations to Dustin Motzouris for taking home the overall win. 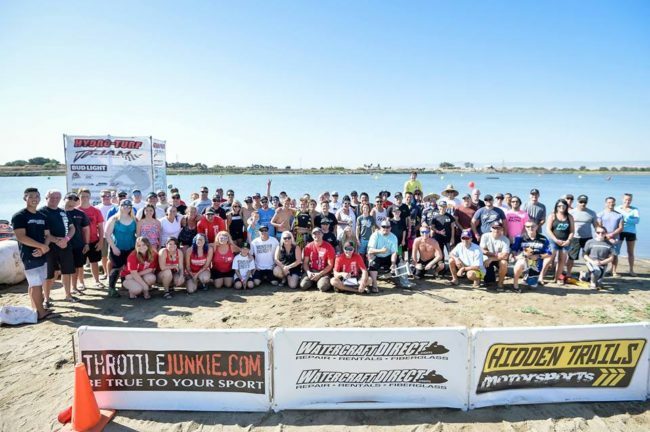 Many new race friends were made in Idaho and there were many new racers that came out so hopefully there will be a return for more racing action in Idaho next year. 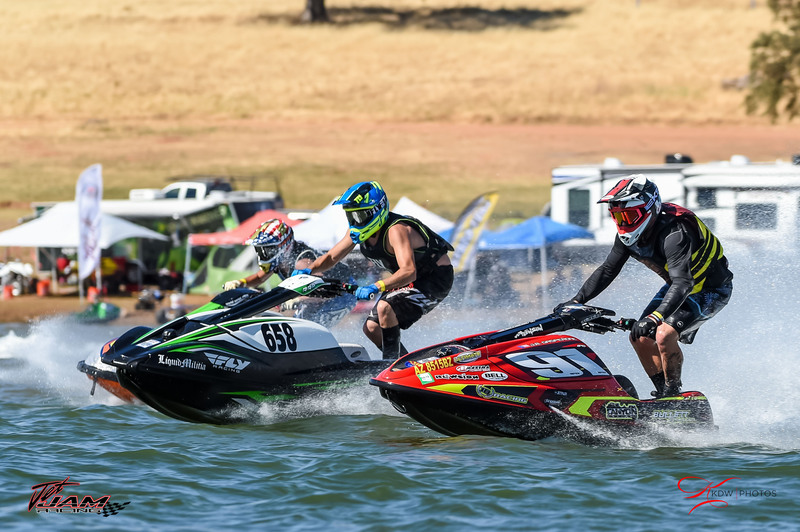 Not long after the Idaho event, it was time for Camp Far West in Northern California for Rounds 7 & 8. 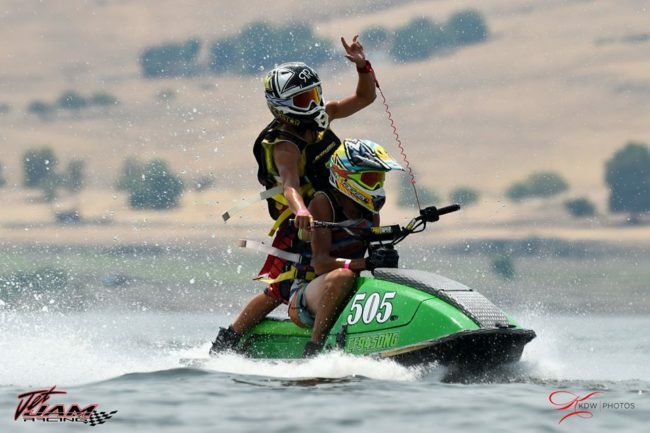 This is one of the NorCal riders favorite race spots and places to ride. 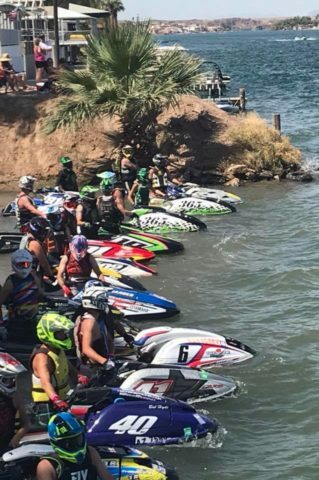 This was Jet Jam’s second time racing this lake and it was an awesome time. This location is one of the “down home” race spots and it included a rider & staff appreciation potluck dinner Saturday night followed by Bill Austin’s famous apple, peach and cherry cobblers! What a great night it was and everyone still made it to the line on Sunday morning to finish up a great race. 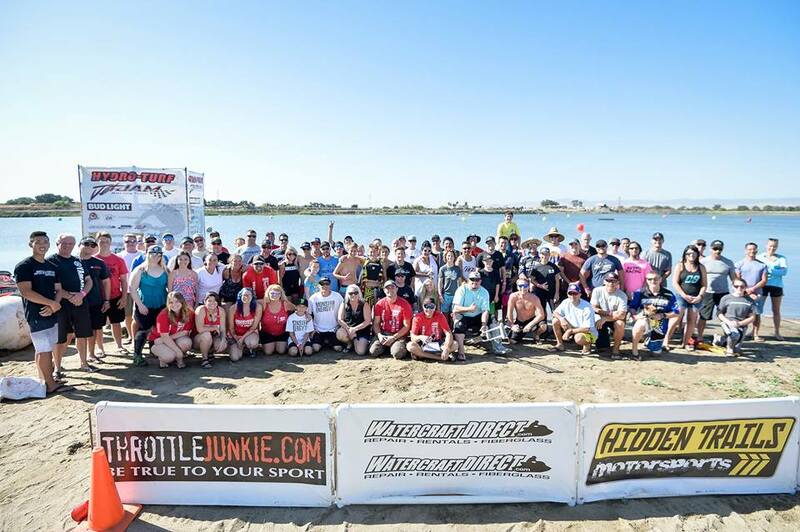 Rounds 9 & 10 were the next NorCal stop at Mossdale Lake Quarry in Lathrop, CA. The venue is located right off the 5 freeway which makes for some good spectating. It was really exciting to watch a battle between JB Gasperone and Justin James as they switched skis with each other. JB still took the win though. Another fun battle to watch was Cienna Ward and Demi Silva. These up and coming junior stars had quite the little battle going out on the course. 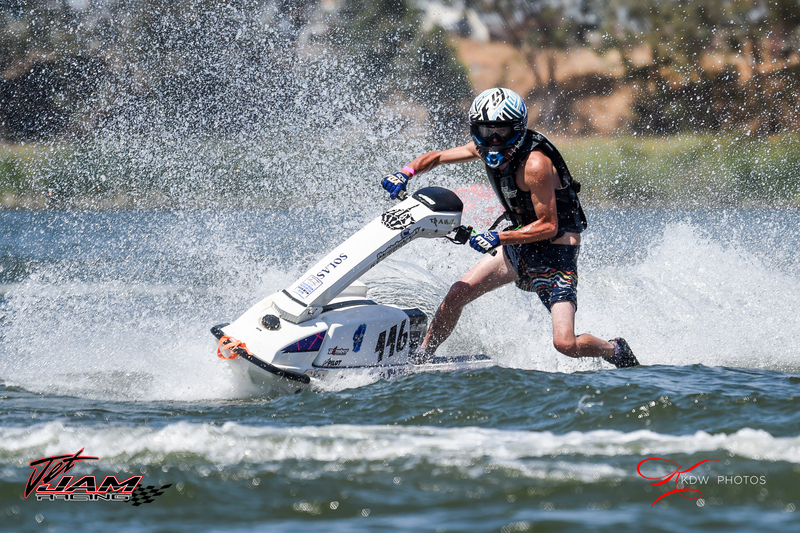 Nic Verdone took a 1st place win in the Spark class even though this was his first time racing a spark. The Spark class is an ever growing new class. Can’t wait to see who races this class next season! 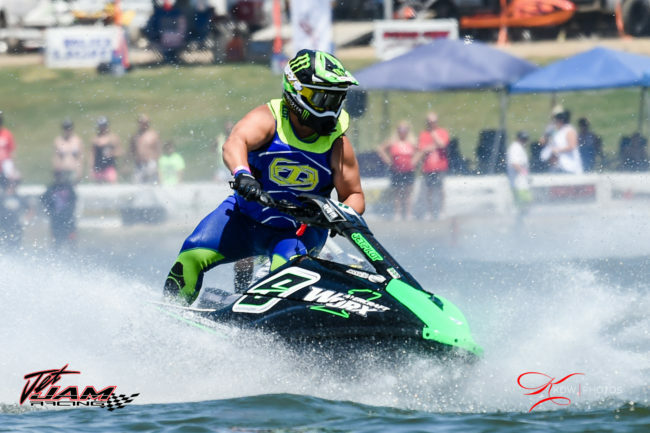 Caleb Kile – Ski GP4, Matt Rollings – Ski GP2 Limited, Tyler Shinko – Ski GP3 N/A, Krissy Vaughn – Women Ski GP2 Limited, Brandon Warner – Runabout GP3 Stock, Dominic Cannady – Jr. 10-12 Stock and Limited, Kyle Kreeger – Jr. 13-15 Limited and Stock, Nick Leseney – Sport GP3, Cory VanCleave – Vintage 550, James Hendry – Vintage 650-750, James Gagnon – Vintage X2, Chris Heppe – Sport GP1, Justin James – Vet Ski Open, Doug Wolff – Runabout GP2.2, Stevie Bascom – Women Ski Gp3 Stock, Natalia Giuliano – Sport GP2 Blaster Only, Jackie Harden – Runabout GP2.3 Spark Only. 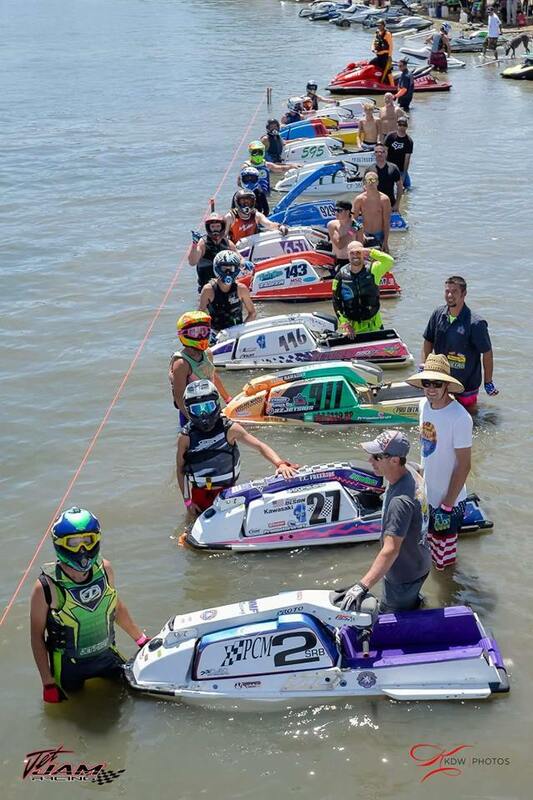 One other item to point out about this event was the 2Up X2 race that took place at lunch both days. This was so much fun to watch as the 2 man teams tried to stay on their X2 skis. Congratulations to the team of Hayden Item and Kyle Kreeger for taking the win. Hope to see more of these types of races next season! Last, but not least, a huge shout out to Brandon Warner for winning the Sea-Doo Spark that was given away for the season overall prize. 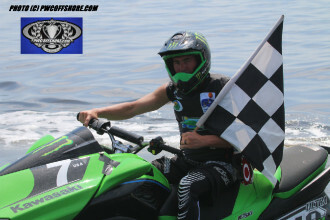 Brandon is a Runabout racer that went to many of the races over the season taking many 1st places. 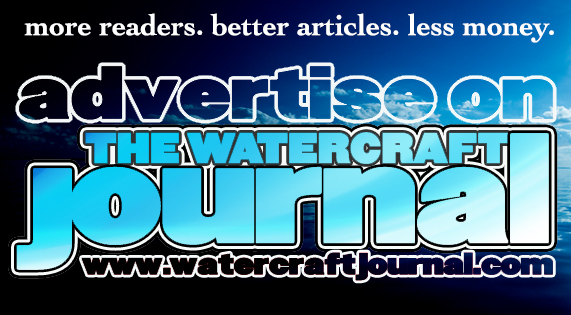 Runabouts are the smaller of most of the racing classes. 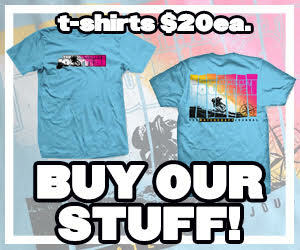 There are the smaller 2 stroke ski’s and the larger 4 stroke skis. 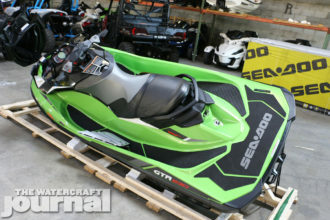 Some of the skis are probably in the average persons garage and they don’t know how to get started racing. In the words of Colin Richards, “When people come to me at the races and ask how to get started with a ski in their garage, I tell them to look for a class they can afford and come out and play.” It would be great to get some new Runabout racers out on the course on the West Coast. If you have any questions about wanting to race, please contact Jet Jam Racing for more info. There are some exciting changes to come for the 2019 season. Please stay tuned for announcements on www.jetjam.racing and the JetJam Community page on Facebook.